I recently came across an article in Forbes magazine by Steve Denning, titled “In Praise of Stretch Goals.” If you’re not familiar with stretch goals, these are challenging, difficult goals that you are less likely to meet than, say, your annual performance review goals. Like they sound, stretch goals are meant to streeeeeeeetch your professional and personal goals to the limit, and ask you to lay aside any fear of failure in pursuit of goals it’s quite possible you may not attain. When I think about stretch goals for myself at work I think of doing things like developing a new product line, enlarging my scope of service, and doubling my service capacity. When I think about stretch goals for myself in my private life, I think about things like paying off my mortgage in 15 years instead of 30, consolidating my mountain of debt and paying it off in a year, or learning to speak a new language fluently. To date, there have been many detractors of stretch goals. They say that adding those kinds of goals to already overflowing plates is demoralizing and overwhelming. They claim it is difficult, if not impossible, to cope, remain productive, and have any type of work/life balance whatsoever when we are working this hard. To see how Denning debunks detractors of stretch goals, you can check out his article here. There’s no doubt that stretch goals, both business and personal, take a lot of time and effort—time and effort you might not feel as if you have right now. But that’s why they are called stretch goals. They are doable, but they will take lots of extra effort to achieve. Personally, I think stretch goals have lots of merit, as long as you approach them correctly. How do you fit stretch goals into your already full life, and how do you find the energy and enthusiasm to help you meet your stretch goals? 1. Make a list of your tasks, including your stretch goals. Rate each goal from 1 to 10, with those falling into the 7 to 10 range being something you absolutely must do and do well, those falling into the 4 to 6 range being things that are nice to do but do not have to be done 100% or can be done by others, and tasks falling into the 1 to 3 range being those things that can be put off or even removed from the list. Now, manipulate your schedule so you focus on the things that fall into the 7 to 10 range. • What will it be like when I reach my stretch goal? What will be happening? What will I be seeing and experiencing? • How will I know I have reached my stretch goal? How will I measure success? * What part of reaching my stretch goal am I in charge of? Do I have control of my stretch goal? • When I reach my stretch goal, who will be affected and how will they be affected? Will anyone be hurt or negatively affected when I reach my stretch goal? • What good parts of my life can I keep and still reach my stretch goal? • What can get in the way of my success? How do I plan to deal with that? 3. Create a timeline and action plan for your stretch goal. Include steps you need to take to realize your goal, and include key milestones. Be sure to indicate how you will celebrate when you reach your milestones, as celebration is a great motivator to keep you going. 4. Don’t go it alone. Find an accountability partner—someone you trust who supports your efforts. When the going gets tough, you should be able to rely on this person to help you stay the course. If you want to set some stretch goals but don’t really know where to begin, consider hiring a well-trained coach to lead you through the process. 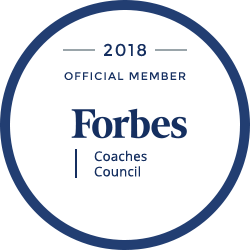 In addition to helping you sort through the steps above, a good coach will help you navigate and get around the roadblocks you are likely to encounter. A coach will also hold you accountable to your goals, and will make sure you don’t cut corners or give up. Stretch goals are challenging, but well worth it when they’re realized. Don’t let the detractors scare you away. Face your fears and get going. You’ll be glad you did.